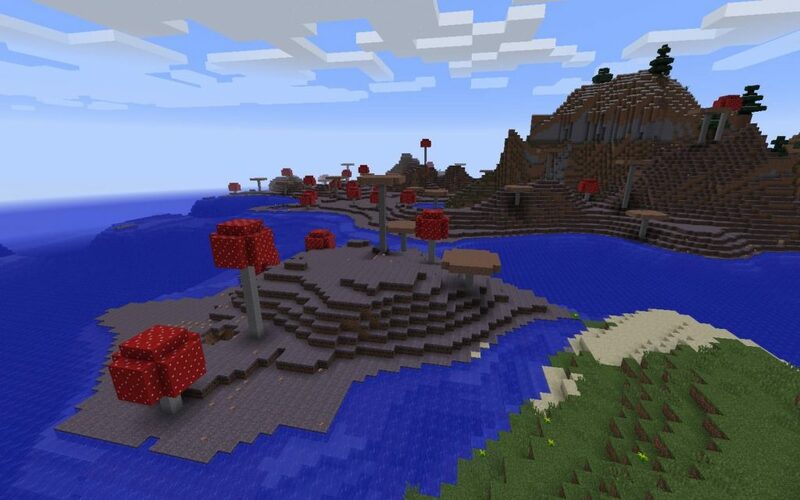 Here’s another Minecraft: Java Edition mushroom island seed that isn’t quite an island. 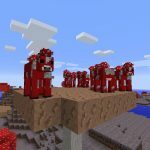 It’s got all the right ingredients: ocean, large mushrooms, mycelium, and mooshrooms. The only thing wrong is that it’s not an island. It’s landlocked. 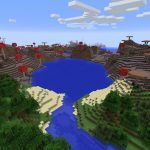 The surrounding biomes should make it far easier to gather resources. 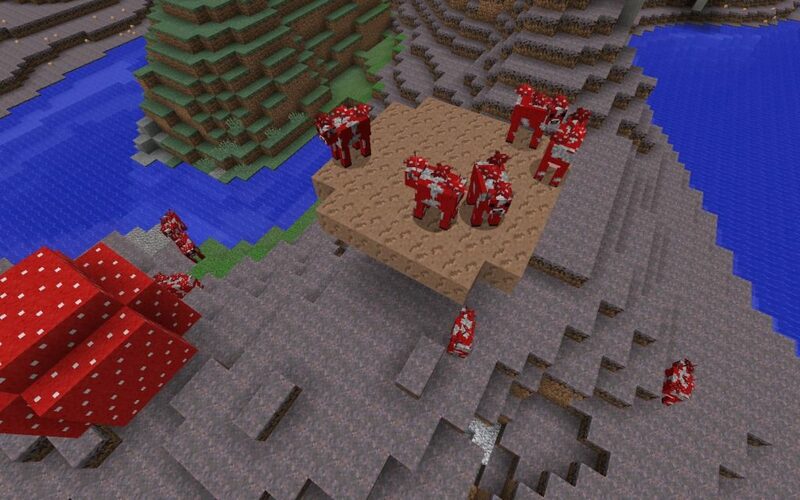 One thing’s for certain: you won’t be facing a food shortage with this spawn! These mooshrooms are crowding this giant mushroom. 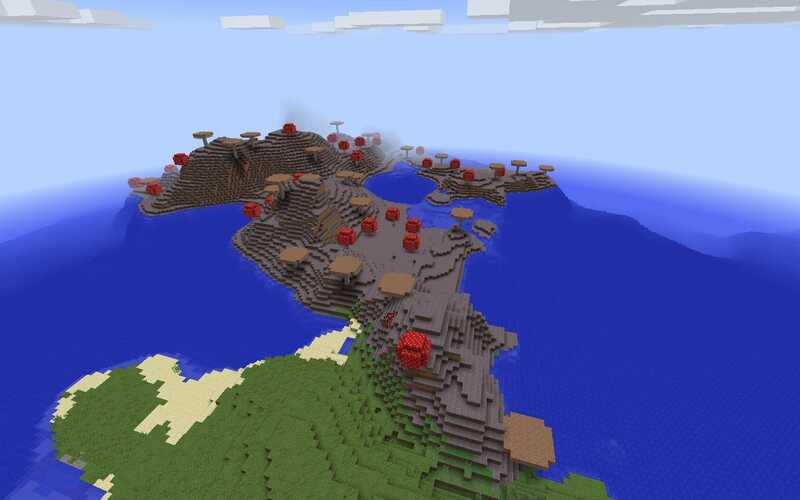 The mushroom island biome from near game spawn. 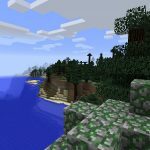 Coastal Mega Taiga (and Wolves)!